Our face contains around 200 thousand pores. But what happens when make-up and other waste matters pack in them? Blackheads, open pores and even pimples tend to appear. 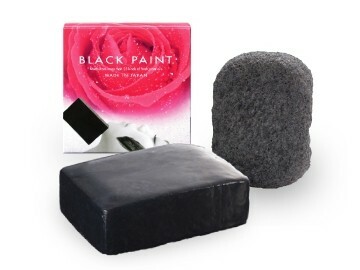 Black Paint is a real PORE Care as it cleanses pores from the inside. Many of us are aiming for a beautiful skin, but in order for us to have a skin with a texture similar to a peeled boiling egg, it is important to undergo a skin reset before gradually removing dead skin cells and dirt that clog pores. 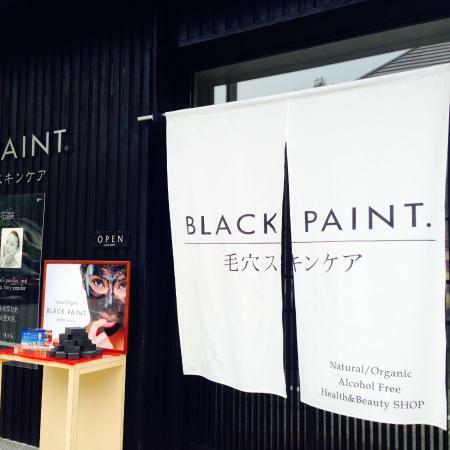 Black Paint was founded by Miyuki Maeda since 1998. And it took Miyuki much scientific study. She learned about beneficial bacteria and saw the light. Bacteria that live symbiotically in our bodies are essential to our physical function, from digesting nutrients to protecting against disease. So, instead of killing those bacteria, we should nourish them so they can do their job. BLACK PAINT is the result. It is made from natural, organic materials which are blended from more than 100 types of plant oils, more than 50 types of essential oils and Kishu Binchotan Charcoal. "We refuse to use any synthetic preservatives, disinfectants, fragrances, colorings, anti-oxidants, or ultraviolet absorbents because many are already proven to cause cancer and other illnesses as well as damage the eco-system." Actually after trying the Black Paint Charcoal soap itself (without the products from step 2 to 4), it's already enough for me. But if you want the whole set - they have a trial pack where you can try the whole step before you buy the big versions of it. 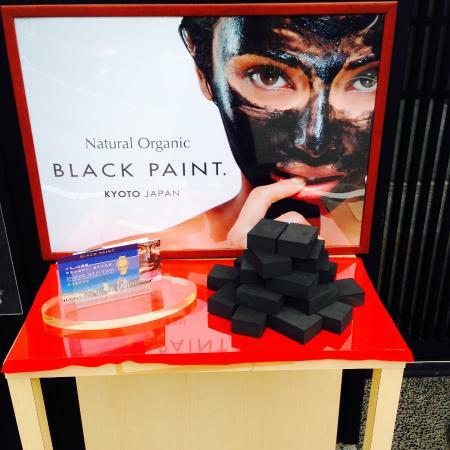 How was the Black Paint Soap discovered? When the alkaline water of the hot springs touched their skin, which is acidic, it triggered the skin to restore its normal balance by releasing more acid and this acid pushed out all the waste from within, leaving pores completely clean. That's why BLACK PAINT is made with a slightly alkaline pH level to simulate the effect of alkaline hot spring. 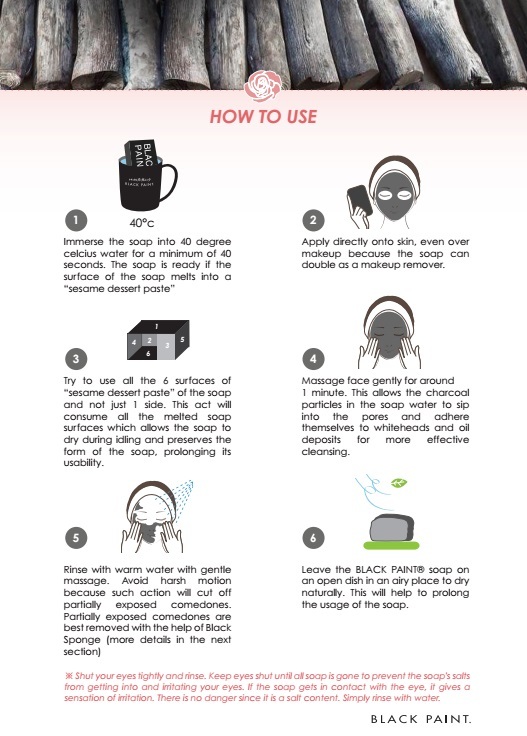 Deeply cleans pores and removes keratotic plugs for smoother and fresher skin. In the trial pack of Black Paint, you will be given a free Pink bowl where you can place your charcoal soap to fill with warm water. Follow the instructions indicated above if you're interested to buy this product. Remember to test patch this out especially if you have a sensitive skin. My husband and I discovered Black Paint store in Arashiyama after we strolled at Arashiyama Bamboo Forest. After learning the benefits and ingredients of this product which are free from chemicals, I totally gave in. Surprisingly, it worked well for me. I usually have dark spots on some areas of face but after using this, it was totally gone. I use this on a daily basis during nighttime only. The trial pack of the soap with bamboo sponge costs for only 1000 yen. The original price of the bar costs 2700 yen. Not bad! Hope you can give it a try.